This Nuffield Working with Science unit is substantially out of date but can suggest approaches for tackling related issues now. 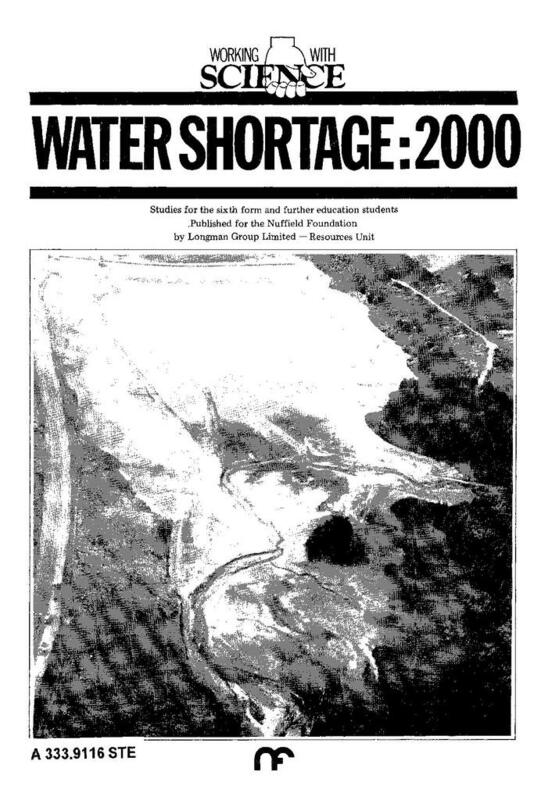 The intention was that students should become aware of the real problems of providing sufficient potable water for all our needs by the year 2000 - even in rainy Britain. They were expected to learn how the problem was being tackled by the Regional Water Authorities set up by the 1973 Water Act; and find out about something of the methods used by waterworks and sewage works to make recycled water safe. The last section was designed to show how people pay for their water. Guidance for teachers and technicians appears in Teachers’ Notes A. Section 1 Where's the problem? Part 1. What for - and how much? Part 1. Where does recycling come in? Part 2. What are you paying for? Part 3. Is it fair?